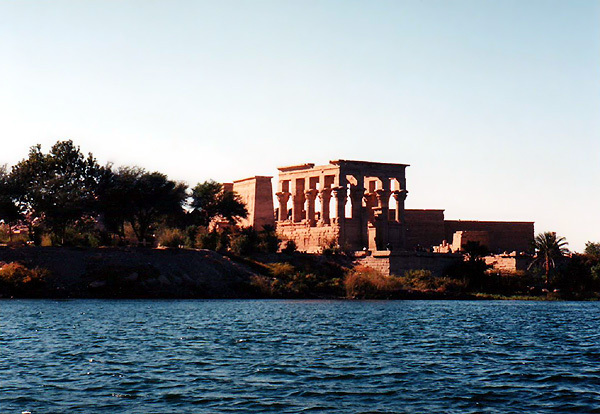 These Greco-Roman temples were originally located on the island of Philae. However, with the building of the Aswan dams, Philae is now under water. In order to save the temples, they were relocated to the nearby island of Agilika, where they are seen today. Philae's monuments date from the time of Nectanebo I (380-362 BC) through the early Christian era. 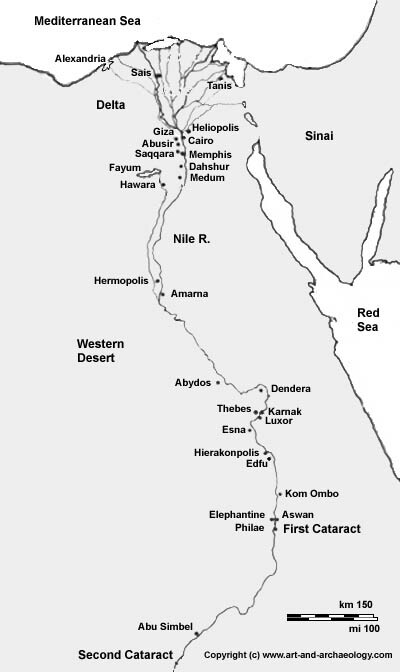 They were the last pagan temples in Egypt. Kept open for Nubian use, they coexisted with several Christian churches on the same site until finally closed by Justinian (527-565 AD). The site is located in the reservoir between the first Aswan dam to the north and the Aswan high dam to the south. This photograph shows the complex as viewed from the river. The tall, square building with columns is the Kiosk of Trajan, with the Temple of Isis in the background.